The marketing aim for every brand is to put out a strong message which will leave the footprints in the mind of the audience about the brand which helps in the brand building and which stays with them. In order to make that message unique, brand thinks of creative content but sometimes it can backfire and become the issue of criticism. To release a successful campaign it is suggested to use brand analytics tools to know the pattern of customer’s reaction to the type of advertisement or campaigns. Delivering wrong message at the wrong timing can make your whole strategy of the successful campaign, worthless. At the time of planning about campaign, it is vital to consider the timing of running campaign according to the accurate message. Sometimes, timings play a very important role in the failure of the campaign even if the message is accurate. For example – Floating advertisement campaign for winter clothes at the end of winters will not work efficiently and this is the factor of failure of campaigns. Wrong message or chances of wrong interpretation of message can also be the major reason for the unsuccessful campaign. Failure of campaign engages unnecessary cost and efforts by the team. One factor can destroy the whole campaign. Marketing team can put some very interesting headlines and content in the campaigns but to do that the team has done market research first. Sometimes insufficient market research conducted before the big campaign can reflect different results than expected. The campaign gone wrong due to insufficient research doesn’t get the attention and time it deserves. It could be possible that market research didn’t include the whole market’s scenario, consumer behaviour, market space and a season before stepping in for the campaign. No matter from which industry you belong to, it is always suggested to check and consider all the internal and external factors along with email surveys and consumer feedback and past records to get the accuracy in a campaign. Sometimes it seems that campaign is failed due to the fact that it hasn’t fulfilled the success metrics. But actually, the success metrics you had set could be unachievable. There are many measures which indicate the possibility of a successful marketing campaign like rising in brand voice and recognition, more consumer interaction, increased conversion rates and more collaboration. If there is a growth in each factor with same or different ratio there is no failure but as a marketer, if you consider only one factor and find didn’t get fruitful results, and don’t take it as a failure. Set the reasonable and realistic targets and check the achievements equally for every part. Before moving to campaign first you need to consider “what is your Target market” or “who is your target consumer”. If you didn’t identify your target audience accurately then forget about the successful results of a campaign. Identifying your target audience requires a lot of time and effort but it something you absolutely cannot do without. 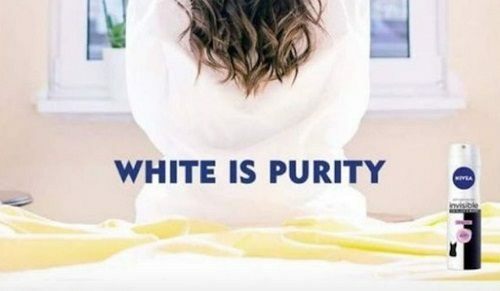 German skincare brand Nivea also said sorry over its “white is purity” advertisement for deodorant which raised the issue of racism or discrimination. Later on, Nivea apologized for the discrimination on racism. How to overcome with failed campaigns? How to make a campaign successful? Check the failed campaign from different perspectives and try to find out the main cause. Start monitoring all the channels and platforms to get the detailed user perception and to know exactly how they reacted also evaluate their reviews and comments and check what their pain point is, know the reason why they are not happy with the advertisement. There are numerous monitoring tools which helps to monitor any brand’s online presence, reviews, complaints, mentions in blogs and newspapers at a one place which saves the time, efforts and costs for the corporate and highlights at which factor your brand is going good and at which factor you need to improve. Monitoring tool called Rankmeonline serves best at this stage.